Your sense of smell is very powerful. According to research, scents and smells are connected to memory which is probably why you remember your mom when you smell a particular perfume or remember happy memories as a child whenever you eat your favorite food. However a lot of people do not know that scents and smells can improve health. Aside from the pleasant smell, essential oils can help with digestion, body pains and improve skin. Essential oils are not really oils because they do not contain fatty acids. They are actually highly concentrated plant components. It takes a lot of plant to get a small amount of essential oil. For example, it takes 4,000 pounds of Bulgarian roses to extract a pound of its oil. This is the reason why essential oils are expensive. However high quality medical grade essential oils have healing benefits. When inhaled or applied topically, these oils can serve as your first-aid kit. Here are some great essential oils to have around when you’re not feeling 100%. Tea Tree oil comes from the Melaleuca alternifloria plant. This essential oil is great for treating skin problems such as acne and other skin blemishes. Whenever you have a pimple, simply dab on some tea tree oil using a cotton ball on the affected area and see improvements in the morning. Many people believe oregano can help fight flu. This is because it contains anti-bacterial properties. It is usually taken topically. During flu season people put a few drops on their tongue and sweat it works wonders when fighting colds and flu. This essential oil is great for relaxation and helps heal minor cuts and bruises. Frankincense has been used for thousands of years. It has been used to treat depression, inflammation and boosting the immune system. Sprinkle some frankincense in your bath water for a relaxing soak or apply a small amount on cuts for faster healing. Use peppermint to stimulate the mind. A study conducted by the University of Cincinnati discovered that inhaling peppermint oil can boost mental accuracy by as much as 28%. Peppermint oil can also be ingested and used to treat indigestion. Mix a few drops in water and drink. Lavender is a very versatile essential oil. It is commonly used for relaxation purposes but also works well to speed up healing of cuts, bruises and skin irritation. It can also help decrease the levels of stress hormones in the blood. This is another essential oil with a lot of uses. 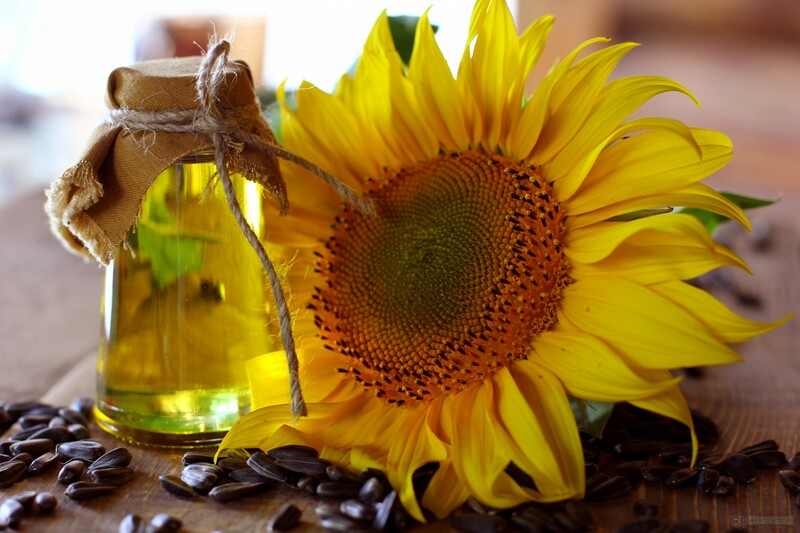 Sunflower oil is known to lower cholesterol, improve heart health, improve skin and boost the immune system. This oil can be ingested or used topically. It is also known to contain Vitamin E and other compounds that act as anti-oxidants.